Among malignant tumors of the thyroid gland, differentiated carcinomas are distinguished from undifferentiated. C-cell carcinomas are also found, which at 5%-10% are the least common thyroid carcinoma. The most common type of differentiated thyroid carcinoma is papillary carcinoma, comprising 40%. They chiefly metastasize lymphogeneously. These are followed in order of frequency by follicular carcinomas (30%), which usually spread hematogenously. The prognosis for differentiated thyroid gland carcinomas is very good, even with metastases. Due to the good operative therapy options and selective follow-up treatment with radioiodine, the 10-year survival rate for papillary T1-T3 tumors is almost 100%. The prognosis for anaplastic thyroid gland carcinoma, an undifferentiated tumor, is much worse. This fulminant form of thyroid gland carcinoma is extremely hard to treat. Even after radical surgery recurrence often happens very early. Because the cells are completely undifferentiated and no longer participate in iodine metabolism, radioiodine therapy is not an option. Basic diagnosis includes medical history and laboratory diagnostics as well as clinical examination carried out from behind on the sitting patient. Particular attention is paid to movement of the thyroid upon swallowing and possible swollen Knotenbefunde. Sonography allows measurement of nodule size and evaluation of their internal echo pattern. It can also reveal thyroid gland size and the location of the parathyroid glands. 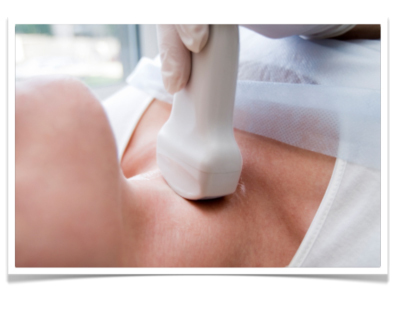 Scintigraphy can measure the metabolic activity of the thyroid gland. Areas with elevated activity are described as hot nodules and suggest focal autonomy. Cold nodules are areas with diminished metabolic activity and are suggestive of malignancy. A fine needle [aspiration] biopsy can help to achieve preoperative histological clarity. This investigative method, however, is never definitive since negative findings cannot exclude carcinoma and positive findings must be confirmed by surgery. Thyroglobulin and carcinoembryonic antigen (CEA) are useful markers for monitoring post-operative course in follicular and papillary thyroid gland carcinomas. Calcitonin can serve as a marker for medullary thyroid gland carcinomas. Calcitonin is so specific that it is sometimes used as a screening parameter, which is rare for tumor markers. Further predictive tumor markers are alfa-fetoprotein (AFP) for hepatocellular carcinoma and – with reservations – prostate-specific antigen (PSA) for prostate carcinoma. C-cell carcinoma occurs in hereditary and sporadic forms. 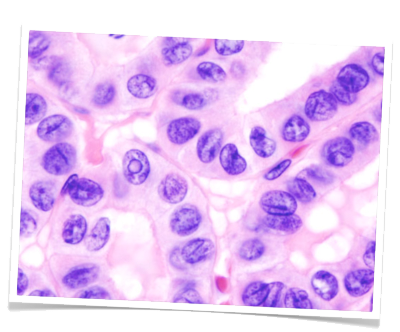 The hereditary forms is often seen in combination with other endocrine neoplasias as part of a so-called multiple endocrine neoplasia, type II (MEN II). In this syndrome, medullary thyroid gland carcinoma is associated with pheochromocytoma and hyperparathyroidism. The basic principle of oncological surgery applies to thyroid gland carcinoma: Radical tumor resection, if possible of the entire tumor-bearing organ as well as systematic removal of the surrounding lymph nodes. In practice this means that thyroidectomy is performed in every thyroid gland carcinoma as well as cervicocentral lymphadenectomy. An exception to this is papillary microcarcinoma <1 cm, which can be an incidental finding in hemithyroidectomy specimens. 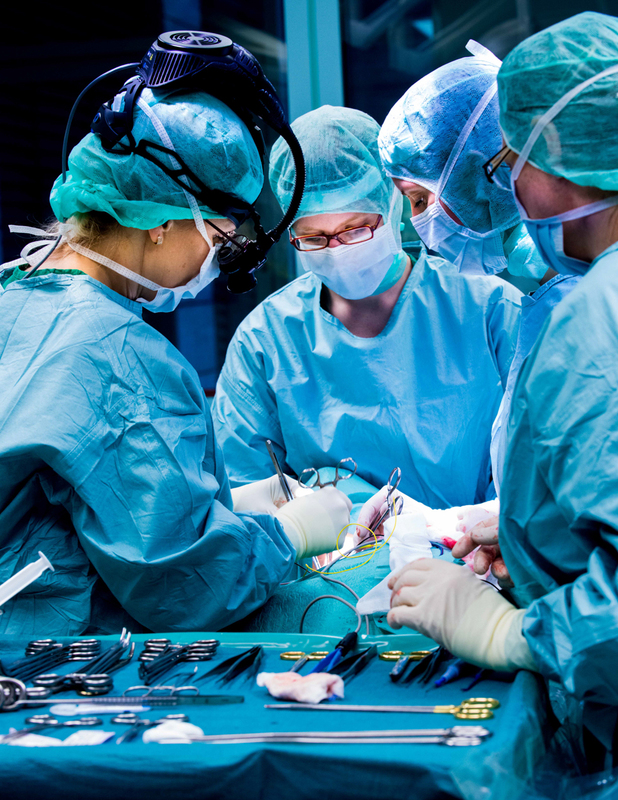 If frozen section diagnostics finds malignancy, surgery must be adjusted accordingly. If malignancy is only found in definitive histology, another operation should be performed as soon as possible to avoid thyroid adhesions, which dramatically increase the risk of intraoperative injury to the recurrent laryngeal nerve. Adjuvant radioiodine therapy can be used in follicular and papillary thyroid gland carcinomas since these tumors participate in normal iodine metabolism. The prerequisite is complete surgical resection of the entire thyroid gland. The ensuing hypothyroidism causes upregulation of thyrotropin-releasing hormone (TSH), maximally stimulating any residual carcinoma cells to take up iodine. Without knowing where these micrometastases are located, they can be effectively destroyed by targeted radioiodine therapy. Uptake of radioactive iodine by the cancer cells can largely prevent injury to the surrounding tissue. The iodine functions as an emitter of beta particles, which are largely blocked by the cell wall and thus act to destroy the cell from within. In carcinomas that do not take up iodine, such as C-cell carcinoma and anaplastic carcinoma, percutaneous irradiation is the only option. The metastases must be of a certain size to allow detection and targeting with irradiation.